Decorating your bedroom properly is vital because you need to create a relaxing space where you can get a good night’s sleep. If your bedroom isn’t set up properly, you won’t be able to sleep well and that can have an impact on your health and wellbeing in a big way. That means that there isn’t really much room for mistakes when decorating a bedroom, but unfortunately, a lot of people do get it wrong. If your bedroom is in need of a makeover, you need to be careful to avoid these common mistakes that people make. Choosing the right colours for the bedroom is so important because if you get it wrong, it can seriously impact your sleep. If you’re using loud colours like bright red or purple, it makes your mind very active and stops you from relaxing properly. You also need to avoid any colours that too dull and boring, like grey. If you’re trying to sleep in a room with grey walls, it has a very depressing feel. The best colours for the bedroom are the ones that have a relaxing effect on you. Blue, green, orange, and yellow all work well but it’s important that you’re using lighter pastel shades so the room doesn’t feel too dark and the colour isn’t too overwhelming, otherwise, you won’t sleep as well. Good colour on the walls and a comfortable bed are both very important for good sleep, but it’s also important that you keep the room tidy. If you’ve got clutter all over the place, it gives your bedroom a very chaotic feel and makes it harder for you to relax in the there. When you’re furnishing the room, you should always keep it in mind. When you’re looking at bedside tables – my-furniture.com.au is a good site because you can find a wide range of great tables with added storage in them. You should also look for beds with drawers underneath so you can keep the clutter under control. When people are choosing window furnishings for a bedroom, they often make the mistake of going for big heavy curtains because they want to block all of the light out. But if you’re using thick curtains in a dark colour, they can make the bedroom feel very claustrophobic. You might be better off with some white shutters instead, especially if your bedroom is quite small. Lighting is one of the best ways to change the atmosphere in a room, which is particularly important in the bedroom. If you’ve just got one main light, your only options are on and off. If you want to create a nice relaxing space, you need to give yourself more lighting options. Installing a dimmer switch is always a good idea, and you should get a few different lamps around the room as well. 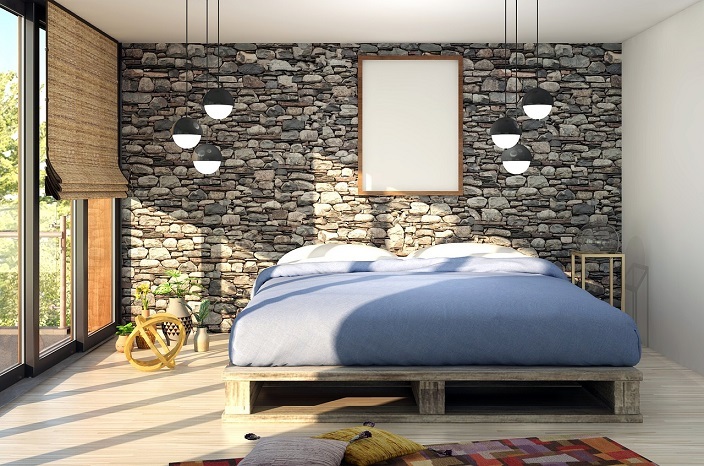 If you can avoid these big mistakes when you’re decorating your bedroom, you can create a nice welcoming atmosphere that is conducive to good sleep.